If you look at a map of the United States, Omaha Nebraska is just about smack in the middle. There are a lot of people that don’t know where we are or anything about us. Nebraska’s primary industry is agriculture. That probably doesn’t surprise you, but what might is that Omaha is home to 4 Fortune 500 companies, and billionaire Warren Buffet. Our culture is diverse, and we welcome any reason to celebrate. On St. Patrick’s Day, everyone’s a bit Irish. We have the same claims on Cinco De Mayo and this month, Octoberfest! Octoberfest is marked with German beer festivals that serve homemade brats and pretzels. To mark Octoberfest, our local newspaper had this recipe for Beer Cheese (Bierkase). They credited this recipe to “Cooking by Mimi Sheraton”. There was just one problem, there wasn’t any beer in it! I made it anyway, and am choosing to call it “Cheese Spread”. 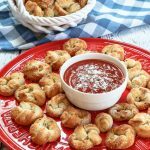 This Cheese Spread was so quick and easy to make. 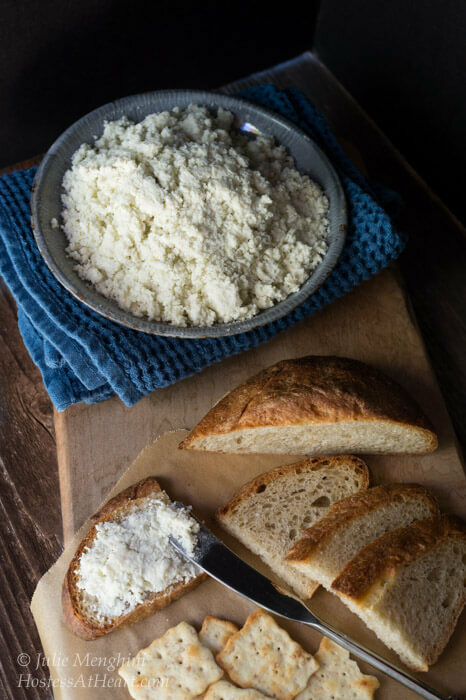 The texture was more like Ricotta than most cheese spreads. John and I thought it was delicious with rye bread and crackers. We enjoyed it just as much on baked potatoes because it melted into the potato perfectly. John said it would make an amazing manicotti filling too. You can change it up with the addition of herbs or spices. I actually added garlic powder, but other than that, prepared it as suggested. This is a quick and easy Cheese Spread that makes a great dip or a condiment for baked potatoes and salads. Cream all ingredients together. Chill 2 hours or overnight. Serve with rye crackers or bread. Do you have a favorite celebration? I’d love to hear about it. I’ll be sharing this with Fiesta Friday party-goers! This is so timely for me because I have ricotta in the fridge and used some for pancakes and was thinking about what to do with the rest! Thank you! It will keep for quite a while too! 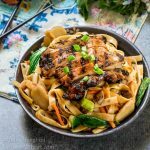 Julie, this looks and sounds delicious! 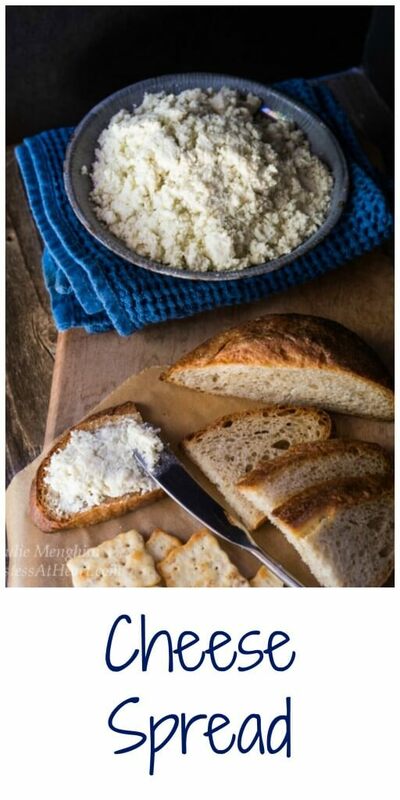 I always buy this huge ricotta tub because it is on sale and don’t know what to do with the leftovers! Now I know! Thanks for sharing! Thank you Su! It’s a keeper! 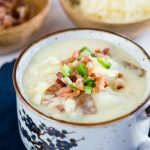 I think added onion and dill would be great additions Ana! Is your parents here yet? Wonderful! Here for the holidays! I love cheese spread, and this one looks wonderful! The blue cheese and the butter in it just sound amazing. I bet it is so creamy. I like the idea of putting it on a baked potato, too. Thanks so much for sharing this, Julie! By the way, did I ever tell you my mom is from Omaha? Several years ago we stopped there on our way to Pennsylvania and got to see the house where my mom grew up. It looks like such a great place to live! Thank you Shari! I didn’t know your mom was from Omaha! It really is a great place. We have a little bit of the city but still very rural, and the cost of living is so good that it’s a great place to raise a family. Now that I’m done with that however I want to say good bye to winter! Thanks for enlightening us with facts of your wonderful state Julie. I must admit I did know about Agriculture but not the other ones. That cheese spread is really gorgeous, I can just imagine what those 2 cheese flavors added to the taste, just yummy! 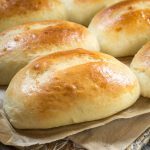 I’m sure you could whip up some of your famous breads too and indulge – beautiful as always! Happy Halloween, and happy weekend! Oh sweet Loretta. I did miss you! Are you home now? I know you had a great time just from Facebook. The Ricotta mellowed out the sharpness of the gorgonzola so it was mild. I actually did make the rye bread that is in those photos. I haven’t posted it yet because I think I’ve gone bread crazy. 🙂 I hope you have a great Halloween and weekend too! Yes definitely back and here to stay Julie :). Mostly I spent time with my Mom who is in an Independent Living facility. I cooked for her each day and stocked her freezer with home-made meals before I left. It is always hard to get back on track when one has been away from the blogging world, but I did manage to do a travel post for FF last week (which was a bit somber, but touched me deeply). Incidentally, you really ought to do a step-by-step tutorial on the do’s and dont’s of bread making. You’re so good at it. Do consider doing a post for FF on that? Thank you Loretta for the input on the bread baking ideas. I haven’t gotten through all of the FF entries yet. It has to be difficult to have such distance between you and your mom. I’m sure she just loved your visit. Enjoy your day! I love all kinds of cheese and I like that this spread has bleu cheese in it, too! My favorite Mimi Sheraton quote is, “are we going to measure, or are we going to cook?” i don’t know why i remember that. love the cheese spread. You had me at cheese 🙂 Yum Yum Yum! Ha! Thank you Sarah! We like our cheese too! Why did I always think you lived in NYC. The cheese spread looks awesome. Cheese is my downfall. Your newspaper has a weird understanding of beer cheese. 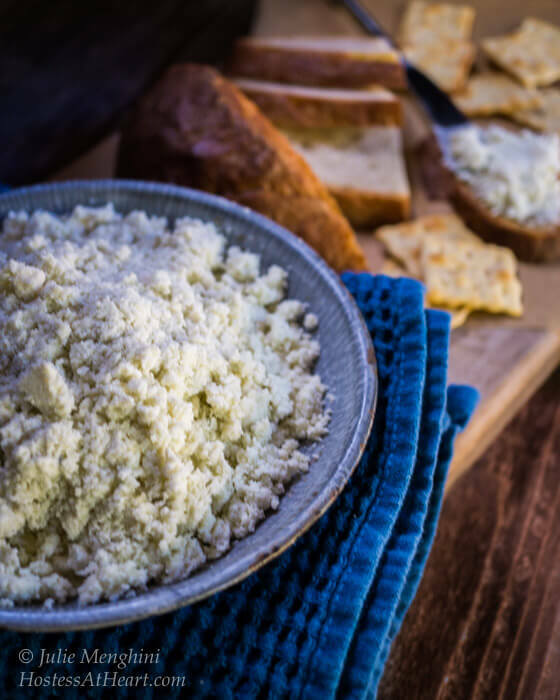 Bierkase is a wonderful soft cheese that is great in dips and bread. Hope you share with us tonight at Throwback Thursday. Thanks Quinn! I made your Raspberry Swirl pound cake today. Yum! I needed to swirl it more, but the flavor is there. Yeah I bet. My boy Johnny Cueto (I am a Reds Fan) pitched a heck of a game last night. As you know I am sometimes an idiot:)) Yeah I am a Royals fan right now. I amuse myself with some of my zingers. I can’t believe the price of those tickets! Good thing for free t.v.! I can imagine lots of uses for this spread. Omaha steaks are famous. I think of Nebraska for beef as well. wow these cheeses sound so wonderful together yumm! I am pretty sure that is where they are coming from! I certainly enjoyed it with a beer. Now you’re gonna get me in trouble for sure. Not only do you make all these wonderful breads, but now you’re giving me the tools make them even better with spreads… WOW!!! Thank you Debbie! 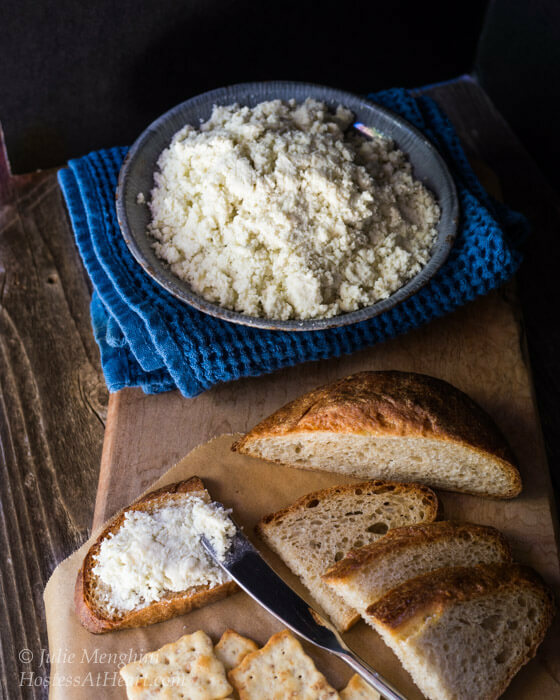 This is so easy, and the ricotta really mellows the gorgonzola. Thanks Anna! John says you can never have too much cheese! you Italians know where it’s at! Hello Julie, you never hear of really bad things about Nebraska as a State-most of us know it is known for agriculture-Duh? I have met some lovely folks from your State here in Florida vacationing. Did someone say Cheese???? Thanks Cheryl! We have our problems like everywhere, but I think there are more positives. My son lives in Miami Beach so we do get to your State at least once a year too. This dip is so versatile, and addicting too! Love the combination Julie. the ricotta would soften the more aggressive gorgonzola flavor and together I can imagine how delicious it tastes. Thank you Suzanne! It is delicious. I was surprised at the texture but it’s not off putting. Enjoy your day! I like the flavor combination of ricotta and gorgonzola. And your photo wants me to reach in for some now! I am going to make this for sure. thanks for sharing. Thank you Sandhya! It is yummy on so many things!